Presenting the Celine Tricolor Bags from Cruise 2015. The common colors for the Cruise 2015 Collection are Blue Indigo, Canary Yellow, Orange, Black.. 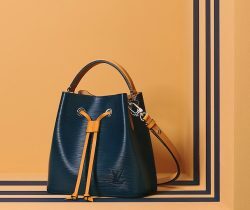 The hottest color this season is this shade of navy blue that appears prominently throughout the Celine Pre-fall 2014 collection. The shades vary from very.. The Celine Pre-Fall 2014 bags are slowly arriving in stores and this season’s colors includes a Dark Fuschia, Orange Tan, Navy Blue, Grey, Beige.. Featuring the Celine Trapeze Bag from the Fall 2013 Collection. Here are some of the offerings for this coming Fall in the trapeze..
Victoria’s Secret model Alessandra Ambrosio was recently spotted carrying the Celine Trapeze bag from the Winter 2012 collection. She paired it effortlessly..